Chromebooks are immensely popular in schools all around the world, but they don’t offer the portability or convenience of, say, an iPad or Surface device. That’s why Google is now partnering with manufacturers to launch Chrome OS tablets. The first of which is the $329 Chromebook Tab 10 from Acer, which was announced back in March of this year. An inexpensive Chrome OS tablet sounds too good to be true, but it’s not meant for the everyday user. It’s geared towards the education market. Pick one up if you’d like, but first read on to find out why you shouldn’t — unless you work for a school. Here is our Acer Chromebook Tab 10 review. Acer Chromebook Tab 10 review notes: I’ve been using the Acer Chromebook Tab 10 for 19 days. Our review unit is running Chrome OS version 10575.58.0 on the stable channel with a build date of Sunday, June 24, 2018. The Chromebook used in this review was provided to Android Authority by Acer. Something to keep in mind throughout this review: the Acer Chromebook Tab 10 isn’t trying to compete with consumer-grade iPads or Surface tablets. It was made with kids in mind, and isn’t even attempting to be the sleek tablet that’s perfect for your every needs. This is especially true with the Tab 10’s design. It’s made of chunky plastic, with a textured back that makes it easy to hold. It’s also a bit heavy, at 1.2 pounds. It feels and looks exactly like something you’d see in a school — not so much sitting on a coffee table in someone’s house. The bezels around the display are big, making it easy to hold in both landscape and portrait modes. Up top, you’ll find a headphone jack (yay! ), a microphone, and three speaker cutouts. 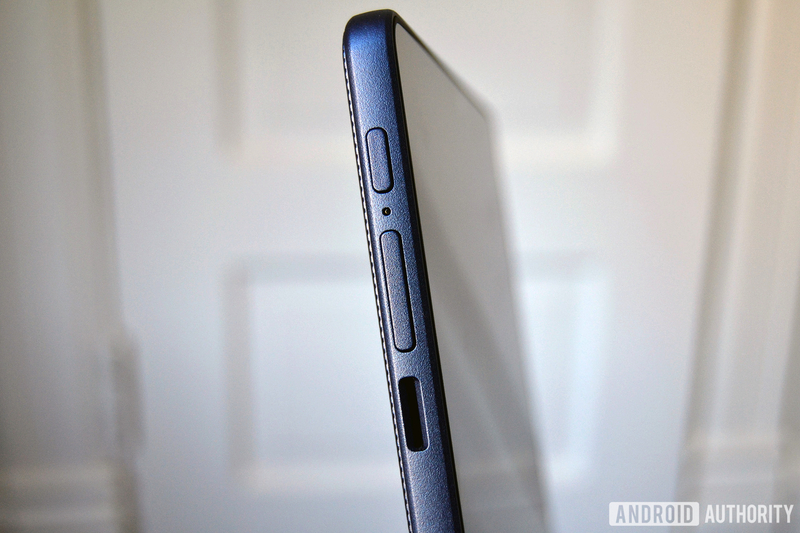 The left side houses the power button, volume keys, microSD card slot, and stylus (more on that later). The bottom features three more speaker cutouts and a USB Type-C port. You can use this Type-C port for charging or hooking up any external hardware like displays, keyboards, and mice. I haven’t been able to test the tablet while it’s hooked up to an external monitor, unfortunately. Overall, I quite like the design of this tablet. It’s a simple, no-frills device perfect for the classroom. The Acer Chromebook Tab 10 sports a 9.7-inch IPS LCD display — the same size as Apple’s new education-focused iPad. It’s doesn’t compete with the iPad’s screen quality, but it’s good enough. It has a 4:3 aspect ratio and a resolution of 2,048 x 1,536, resulting in a pixel density of 264ppi. Viewing angles are good, and it can get extremely bright and dim. The screen is on the warm side though, and there’s no option to tweak it in the settings menu. The most notable “extra” hardware feature with the Tab 10 is its Wacom stylus. Tucked away in the edge of the tablet, the stylus gives users an easy way to screenshot, take notes, draw, and zoom into things. It’s using the same electro-magnetic resonance (EMR) tech you’d find in Samsung Chromebook styluses. This just allows the stylus to work without a built-in battery or Bluetooth connection. The stylus itself is decent. It’s small and light. It can be hard to hold for extended periods of time because it’s so short, but I think kids will have no problem sketching out doodles and taking notes with it. 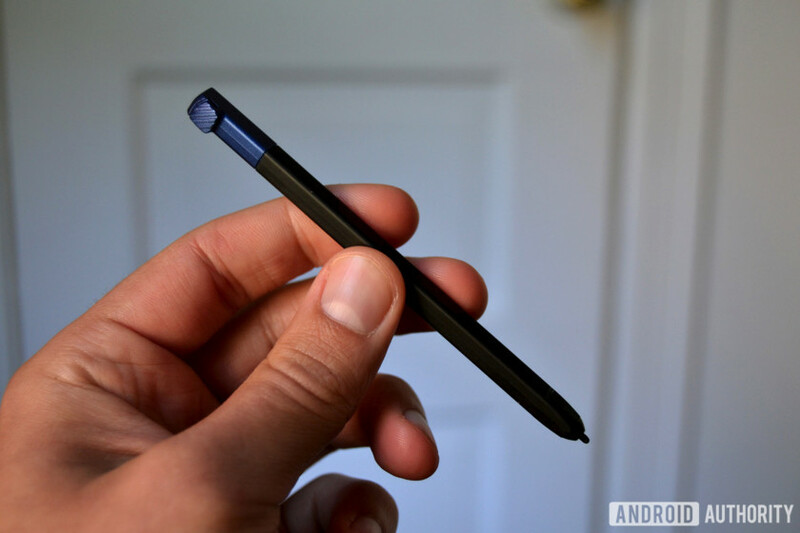 There’s no extra hardware button on the side like on Samsung’s S Pens, but it’s still super functional. Popping out the stylus enables a small menu with screenshot and note-taking shortcuts. It’s quite handy. Plus, since the Acer Chromebook 10 can run Android apps, you can download any number of note-taking apps from the Play Store if you want something more powerful than Google Keep. This tablet has six speaker cutouts, but don’t let that fool you — this thing’s pretty quiet. I’m not sure the speakers will be loud enough for kids to hear videos inside a classroom full of other kids, though I didn’t test for this. The Acer Chromebook Tab 10 is a solid performer if you’re using one app at a time. The dual-core Rockchip RK3399 and 4GB of RAM is enough to launch apps quickly, but it struggles with multitasking. There’s a fair amount of lag when switching between even two apps at a time. It certainly won’t be a good device for media consumption or casting things to your TV, which is forgivable given the tablet’s target demographic. Students probably won’t use this device as hard as me. One other reason this tablet is clearly not meant for consumers: the cameras. The Tab 10 has a 5MP rear and 2MP front camera, both of which are less than passable. It feels like they’re straight out of the 2010 flip phone era. They might be fine for classroom use, but that’s about it. Acer says the Chromebook Tab 10 can last up to nine hours on a single charge, and I’d say that’s about right. Teachers will be able to get by plugging these in every few days. The software keyboard on the Tab 10 is the same keyboard as other touchscreen Chrome OS devices. It certainly doesn’t compare to Gboard, and typing can be extremely frustrating. Text prediction and correction isn’t nearly as accurate as Gboard either. Also, for some reason, the keyboard is set to capitalize the first letter in every word on some Android apps, and you can’t turn it off. That alone ruins the typing experience if you’re using a common Android app like Google Keep or Docs. For what it’s worth, that’s not the case on Chrome web apps. Luckily, the Tab 10 pairs with any Bluetooth keyboard out there, so that’s an option if teachers want their students to write longer-form essays or the like. Acer doesn’t offer a Bluetooth keyboard made for this tablet though, which is a bummer. Acer needs to make a folio cover with a built-in keyboard, like what Surface tablets have. Obviously this would defeat the purpose of having a tablet form factor, but the option to include one in every order would be nice — especially because it would make up for the garbage software keyboard. Belkin makes a wired keyboard for Chrome OS tablets schools to could pair with this tablet, if they so choose. On the bright side, Gboard is apparently coming to Chrome OS this fall. This will significantly improve the typing experience. Aside from the keyboard woes, this is the same Chrome OS experience you’d find on any other Chromebook. I won’t go into the basics on Chrome OS in this review — I’ll save that for Gary — but I will talk about my experiences using it as a main computer with the addition of Android apps. This is still very much a desktop-tier OS, which means some things are just a little harder to do on a tablet. Just about every web and Android app automatically hides the “status bar” at the top of the screen, so you need to swipe down from the top every time if you want to close an app. On Chromebooks with a physical keyboard (and thus a trackpad), that “X” button appears automatically. The workflow is just easier on full-fledged computers. Android apps still need some work on Chromebooks, too. Not all of them are compatible with Chrome OS, and some compatible ones won’t open anyway. Gboard is available in the Play Store, but can’t be set as an input method. Some Android apps work perfectly fine, and when they do it’s great. Multitasking with Android apps and the Chrome browser makes for a wonderful experience. Now, a lot of these things are more problems with Chrome OS than with the tablet itself. Some of these bugs might be fixed by updates in the coming weeks or months. The Acer Chromebook Tab 10 supports Google Expeditions, which lets you take virtual field trips from the comfort of your desk. The tablet will also support Expedition AR in the future too, eventually allowing students to view objects in augmented reality right in their classroom. IT departments will be able to manage these tablets with the Chrome Management Console. Each student can have their own profiles with their own login information, so all the data that’s loaded on an individual’s account will stay on that account. I think it’s pretty clear Chrome OS isn’t ready for the mainstream tablet market. Too many things just aren’t optimized for a tablet form factor right now. However, Google issues frequent updates to the operating system, so things will no doubt change in the coming weeks and months. Next year, there will be plenty more Chrome OS tablets, and they’ll all probably be a lot easier to use. The Acer Chromebook Tab 10 isn’t meant for “regular” consumer use, and I think you’d be disappointed if you bought one for that. If you work for a school district, that’s a different story. The fact that this device will be primarily used by kids in the classroom saves the Tab 10 from falling flat on its face. All its shortcomings — weak speakers, weaker cameras, and a low-powered SoC — are somewhat excusable in a school setting. A kid just won’t push this tablet as hard as I did. The Tab 10 isn’t without competition in the education market. The 9.7-inch iPad has the same $329 price tag as the Acer, and is actually discounted down to $299 for educators. The iPad also offers a better screen, a much better camera, and quicker performance. However, it only supports Bluetooth keyboards, and the Apple Pencil costs extra — something school districts will bear in mind when they hear the Acer comes with an included Wacom stylus. I also don’t want the ruggedness of the Chromebook Tab 10 to be understated. If I taught a fourth grade class, I’d be so nervous giving them an iPad for the day. Chromebooks have a history of providing schools with easy setup and reliable performance. The Chromebook Tab 10 absolutely delivers in these areas, and also has the benefits of a slim, lightweight form factor. The software has its quirks, but schools already used to Chromebooks will probably feel right at home with the Tab 10. Next: Buyer’s guide: What is a Chromebook, and what can’t it do?